Details are one of my favorite things in the whole world. Texture, embellishments, you name it, I love it. Today we are looking at a sassy detail called the keyhole. A tiny bit of skin shown perfectly through this detailed cutout. Today we're looking at this trend in tops. Yes, you can wear this top. No, you don't have to wear these daisy dukes with them. Try white jeans or tiered midi skirt. 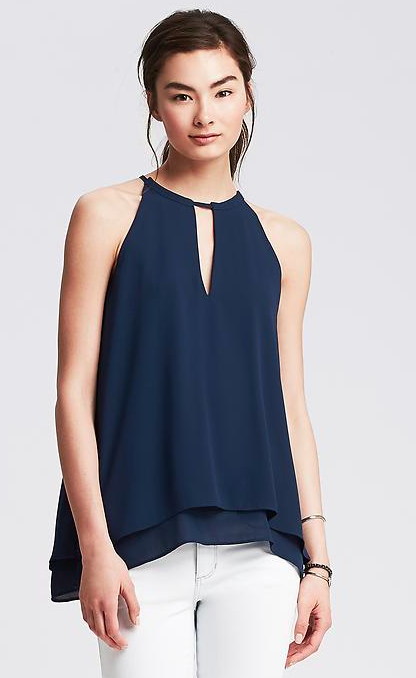 A beautiful crepe tank that looks so effortless. Also comes in three other colors. I love this blown out floral print. It's quite dressy, which you don't usually think of when you think of halter tops. Looking for something that makes a statement without saying a word? 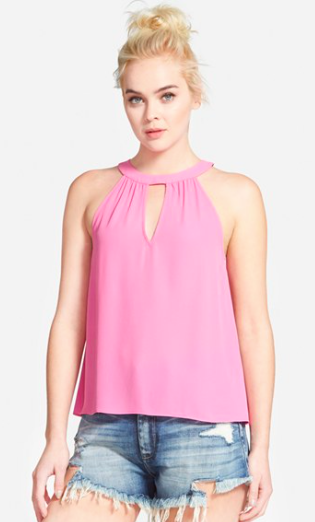 This top. So simple! Blousy on the bottom and sassy on top. 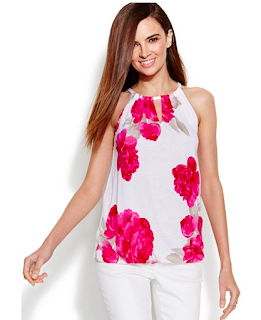 A simple detail makes all of the difference and these halter tops are perfect for summer.